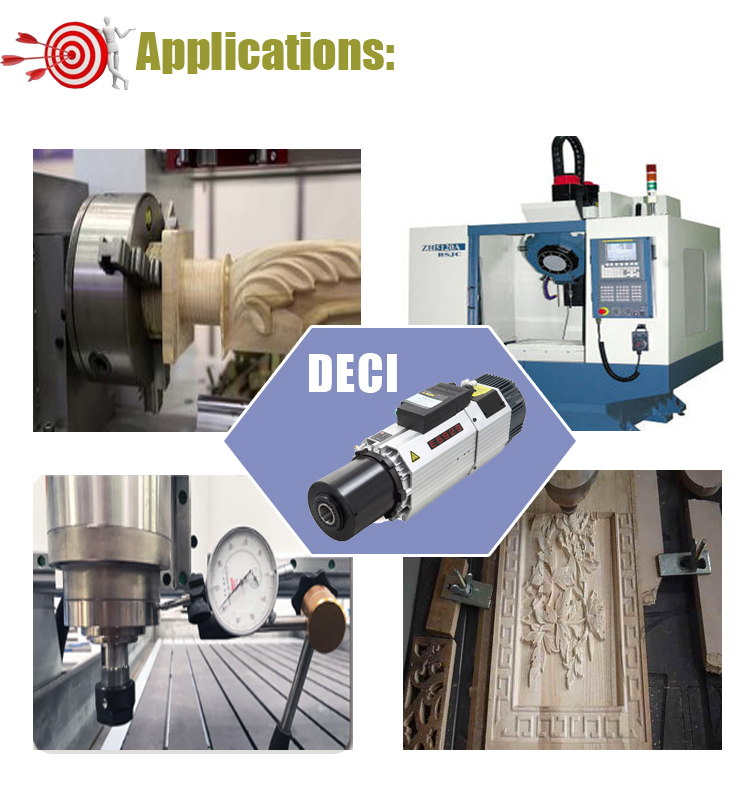 DECI ISO30 WOOD SPINDLE MOTOR WITH AUTO TOOLS CHANGE FUNCTION -9KW 24000rmp ISO30. DC-WP145B is specially design for wood wood engraving machinery. This a Automatically Tools Change design, with 9kw power and 24000rmp spee. Collect could be : ISO30, HSK ,BT30 or customized acoording to client's needed . ATC Square Engraving CNC machine Spindle motor is to meet high rapid wood, plastic engraving developing and requirements . With low cost and high precision ,the square engraving spindle motor widely applied to CNC machines with engraving function. 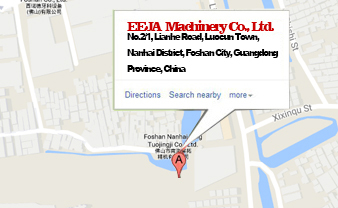 If you are going to consult the information about DECI ISO30 WOOD SPINDLE MOTOR WITH AUTO TOOLS CHANGE FUNCTION -9KW 24000rmp ISO30 form one of the leading China DECI ISO30 WOOD SPINDLE MOTOR WITH AUTO TOOLS CHANGE FUNCTION -9KW 24000rmp ISO30 manufacturers, equipped with a productive factory, It is always at your service.